If you're in the market for tile and grout cleaning professionals then you have come to the right place. There are plenty of areas in the home that include tile and grout – the look is as stunning as it is classic. Unfortunately, keeping it looking that good is the hard part. The work that goes into cleaning tile and grout is tough and tedious work. Regular mopping and spot cleaning simply doesn't reach the hidden dirt that lies deep within the pores of your grout lines. Our professional tile and grout cleaning service renews the luster to your floors, making them look new. So don't try to tackle this job on your own, let our trained, skilled and experienced technicians take care of the job for you. Save yourself the trouble and keep your surfaces as clean as can be by letting our experts take care of this work for you. *We ask that our customer move any furniture prior to our technicians arrival. Any furniture that is requested of the technicians to move will result in additional charges. *We ask our customer to remove any items from on top or inside of the furniture they would like their technician to move. Any items that have breakable or electronics will not be moved for liability reasons. 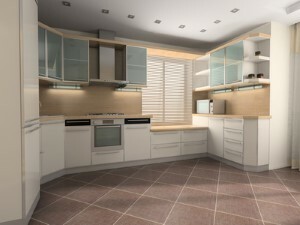 Benefits of professionally applied grout Sealer after cleaning tile grout it is very important to follow with a sealer. Regardless of what method was used to clean the grout lines the dirt and soil was removed from the surface exposing the pores and creating new pores. A sealer will act as a defense by filling up the pores and providing a protective layer between the surface of the grout and the spills, stains and dirty mop water. Over time grout can break down and deteriorate from a number of causes such as moisture, settling or movement, chemicals, aggressive cleaning tactics and so on. Just because there are places in your tile that have missing, cracked or deteriorating grout that does not necessarily mean all the grout has to be repaired. There are some rare cases where the grout must be completely replaced but the majority of the time it simply needs repaired. Grout repair can be done using several different methods and products depending on the issue and condition of the grout. If the majority of the grout is good and solid but there are sections that are cracking or crumbling, those sections can be repaired with additional grout or grout caulk. Good solid grout should never be removed or replaced. Will my grout look new when you are done cleaning? This depends and varies from one home to another. 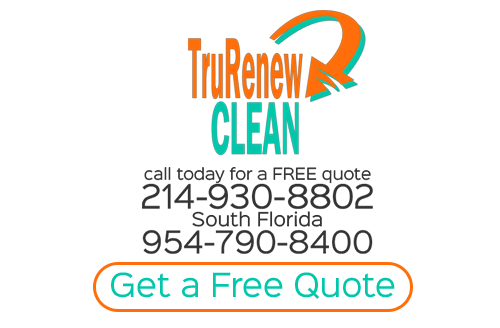 Since there is no way to determine this prior to cleaning, TruRenew technicians will always performs a test spot to make sure that we are able to meet your expectations. How often should I have my tile and grout cleaned? As with carpet many factors must be considered when determining the frequency of cleaning. Foot traffic, children, pets and routine maintenance affect how often cleaning needs to be performed. If you are looking for Tile And Grout Cleaning then please call 214-930-8802 or complete our online request form.